My very first markers were won in an art challenge 3 years ago. It was Copic markers basic colors pack. If not for that, I'd never ever got professional markers. "Do you seriously think that 7 euros for one marker is OK?" :) I thought that markers and schools felt-tip pens were the same. I used them like a felt-tips and didn't really understand what's a schtick. I had a real shock when I saw reallistics artworks made with markers! 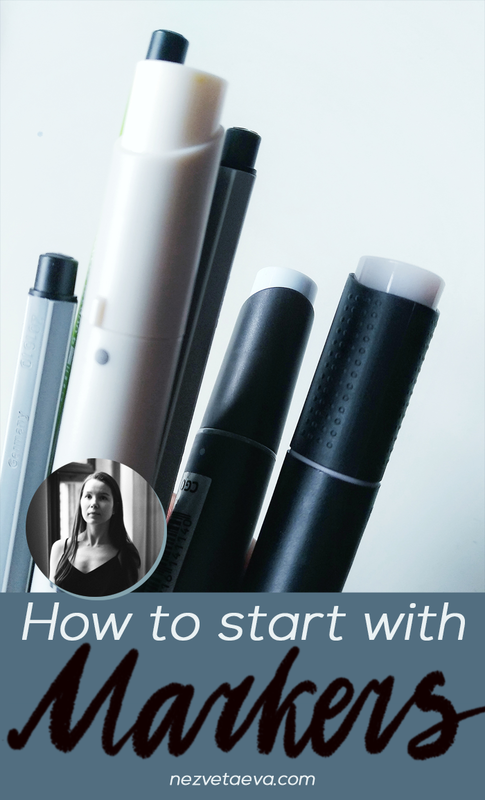 So let’s talk about how to start with markers? How to start with markers? What do you want to draw? What is your topic? Portraits, or flowers, or pancakes? Choose 3 or 4 selected colors: 1-2 light, 1 middle and 1 dark colors. If it is portrait, take a couple skin tones and one for hair. If it is flower, your colors could be light rose, bright rose optionally yellow and green one. If you have no defined topic to draw, you could start with grays. The same scheme works here to: one light, one middle an one dark ton. Ok, there are so many basic and thematic sets of markers. But all of them are expensive. What if is it not exactly your material? Try a little. There is a super technic when you need just one marker. It fits for many topics and often used by architects. Give the main role to outlines and add a color for accents in your sketch. If you worry that it is not enough, I have a little hack! Color pencils are awesome combo with markers. Also they could help you to fix some defects or mistakes in your artwork. 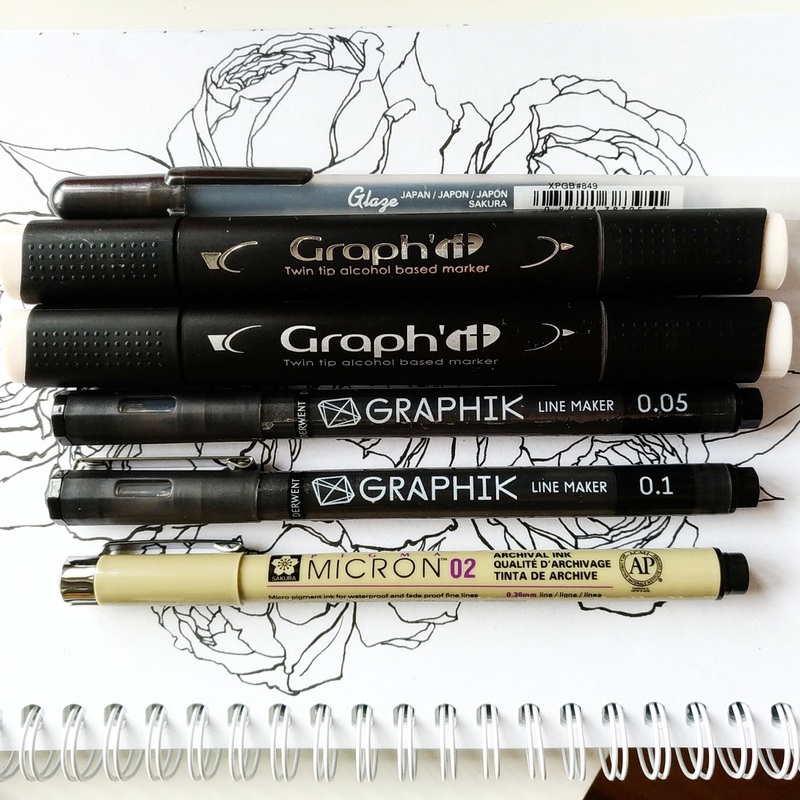 A lot of famous illustrators mix pencils with markers for textures, little details and realistic touch. In the very beginning, you don’t need black color. 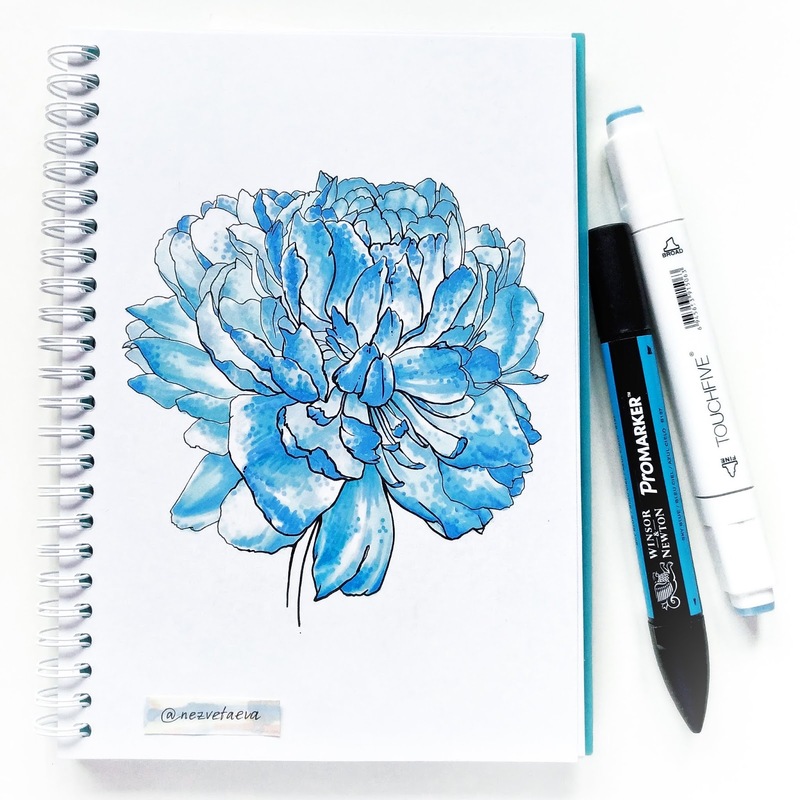 For this option a simple black permanent marker from stationery is Ok.
A white gel pen or thin brush and white goulash are the best for highlights. And masking fluid for watercolor fits for markers too. For outline liners Copic, MICRON, TOUCH, Edding 1880 and Graphik are the best. But if you want try another brand you could check if they are resistant to alcohol ink. Copic is the best. But STA, PROMARKERS and even any nonames are good. But if you are newbie You can’t say what the difference is. Because the difference is in details of user experience. Start with any brand you can. Feel the technic working. Then you will know what exactly you need for your work. My first markers were Copic. But when I started with dotwork I realized that STA and PROMARKERS are more comfortable for my hand making dots for hours day by day. It is about your own way to work not about trends or prices. - Their color gradient ability is not perfect at all. But they have obvious advantage. You can buy the biggest set of colors (60-80) for the smallest price. If you want to try them, choose the smallest set for the first time. You could explore them and make your own decision. My markers from Ali already died after living for 6 months. Whereas my 3 years old Copics are still alive. Start with your usual paper. 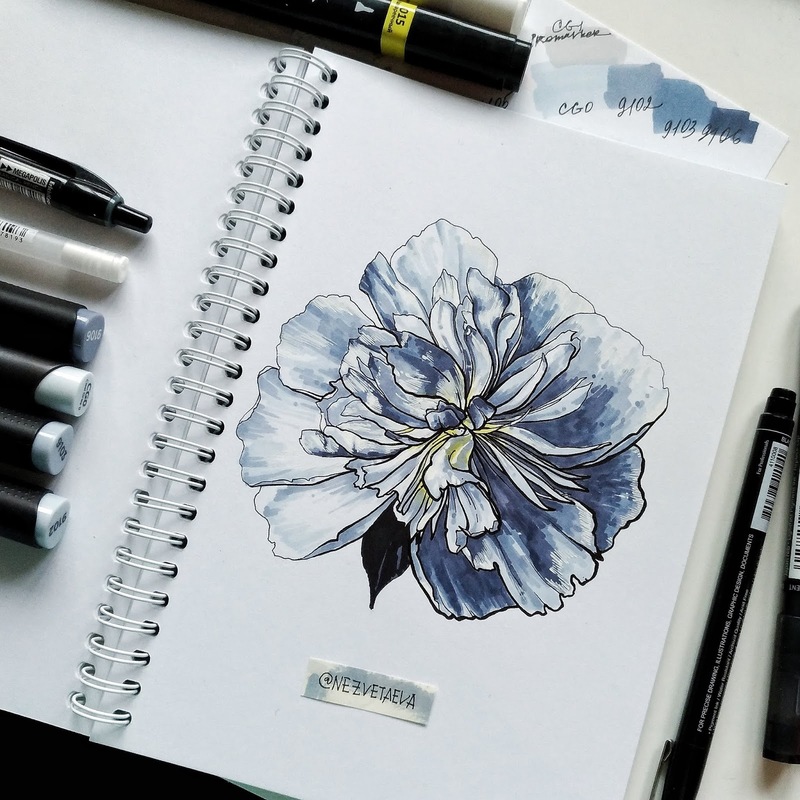 There are many brands and types of professional markers paper, but they all need high skill. Simple paper for printer is you best friend when you are a beginner. The thing about markers is soft gradient between colors. Due that paper need to be able to blead ink through itself. High skill of this is making it with the smallest quantity if motions and ink. Professional marker paper has brilliant white matte smooth surface, but its ability to absorb ink is limited. And if you use a bit more ink there will be dirty spots on professional paper. Don’t worry about using usual paper! You will know when you could change it for professional. It will be soon, markers are not as difficult as watercolor for example. If you draw in sketchbooks, place a sheet of paper under the page you are working on to avoid bleeding ink to the next page. It is simple. Keep your markers horizontally. And always replace caps right away after use. 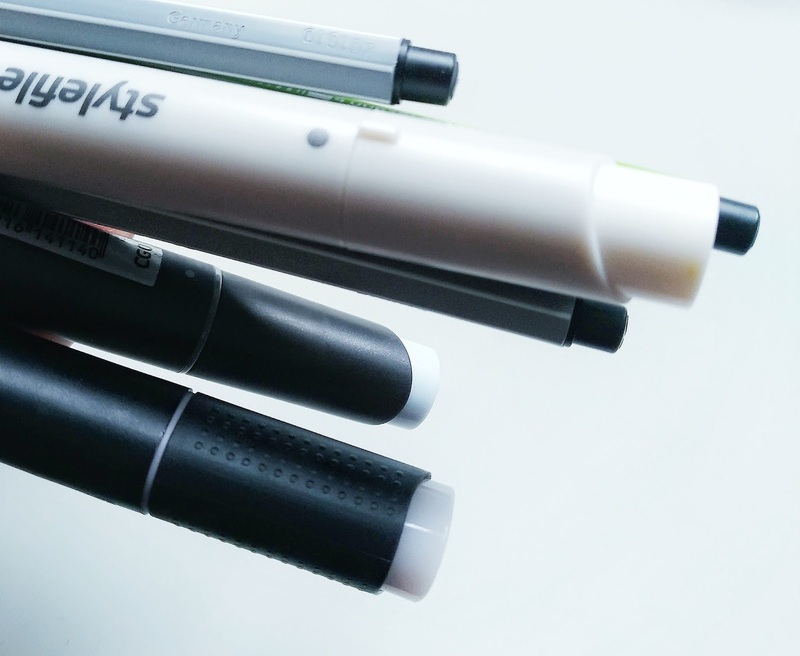 For ease of use, store your markers grouped by color. But in the beginning you will not have too much colors. Over time, you will find the storage system convenient for you. I dream about special markers holder but I keep my markers in a simple Ikea box. When you’ll have more colors you need a markers pallet. There are many professional ones. But I use the last page in my sketchbook because markers could behave differ on differ papers. So that’s all I wanted to say about beginning in markers. I wish you good luck with your journey. This material is excellent. And its possibilities are endless. If you like this post, please, could you share it with your friends! Hi, everyone! 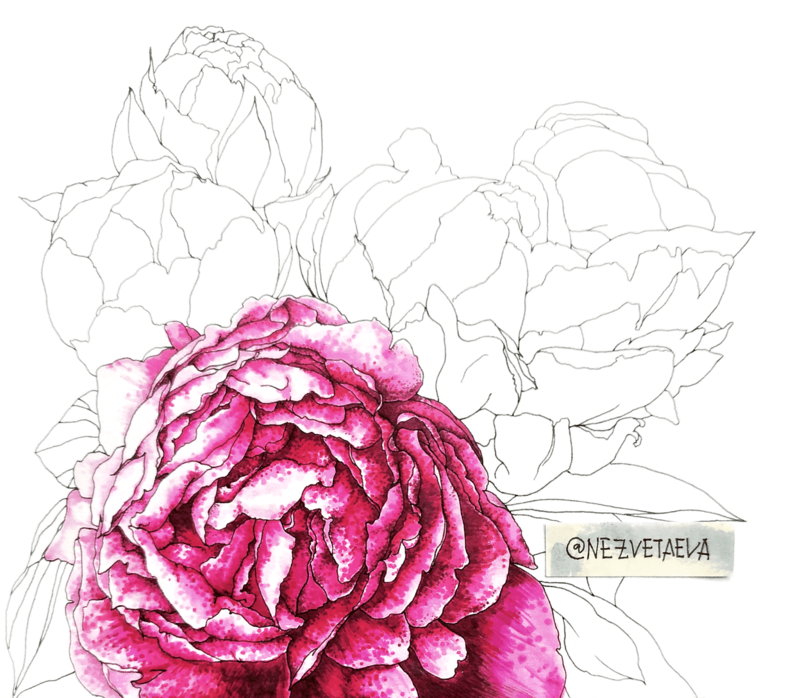 I'm Sonia Nezvetaeva, an illustrator. My blog is about inspiration and artist's life! Welcome! Hope you'll like it! © Sonia Nezvetaeva | All rights reserved.